Zsa Zsa looks good. 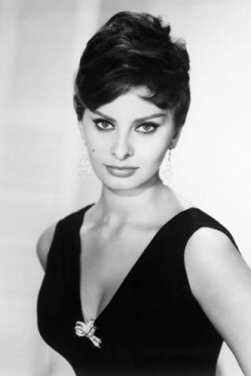 But, IMHO Eva was the real beauty in the family. And classy. I once saw Eva at Battlestein's in Houston. She was sweet, kind, and gracious. And I'm glad that it seems from Merv's Biography Channel special that she had some joyous times with with the king of Jeopardy and Wheel of Fortune. 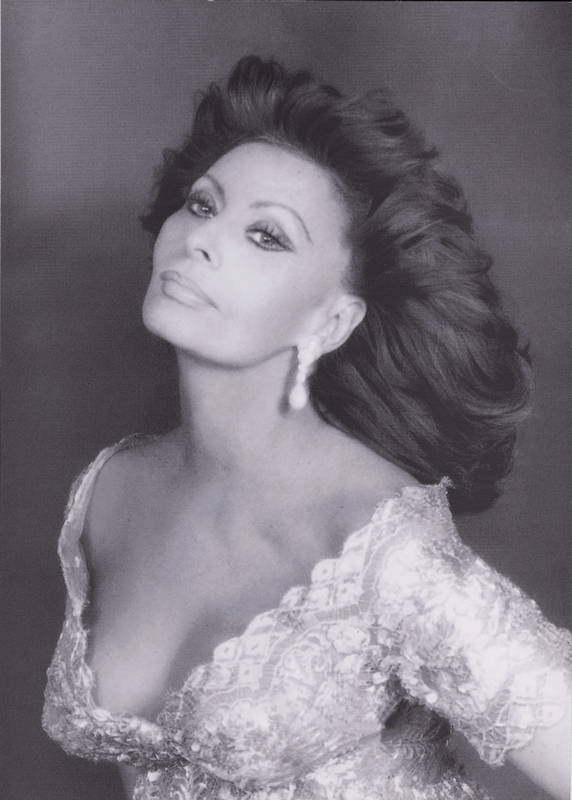 Ladies don't spend hours on BIG HAIR so that they can have a bad time. SueSue - I had problems posting photos last night (grrrr) and my big-bigger-biggest Anne Baxters didn't work. Looks like I'm having glitches again. I'll try to repost. Sorry, Arlene. I can see her on my thread on my PC. I don't know what to say. Welcome to the lovely world of TCM City where nothing rarely works the same way twice! Me for, at least, today has been a bad day for logging in & posting ! Don't feel too bad, there are some posters who thinks today is a bad day to simply watch TCM. (not me though). > Some good names out there. 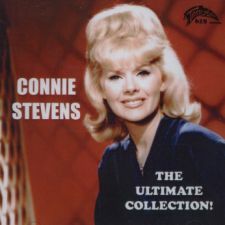 Would Connie Francis or Connie Stevens be considered kind of poufy? Maven, I'd say both Connies were kind of poufy, and seeing is believing. Good call. 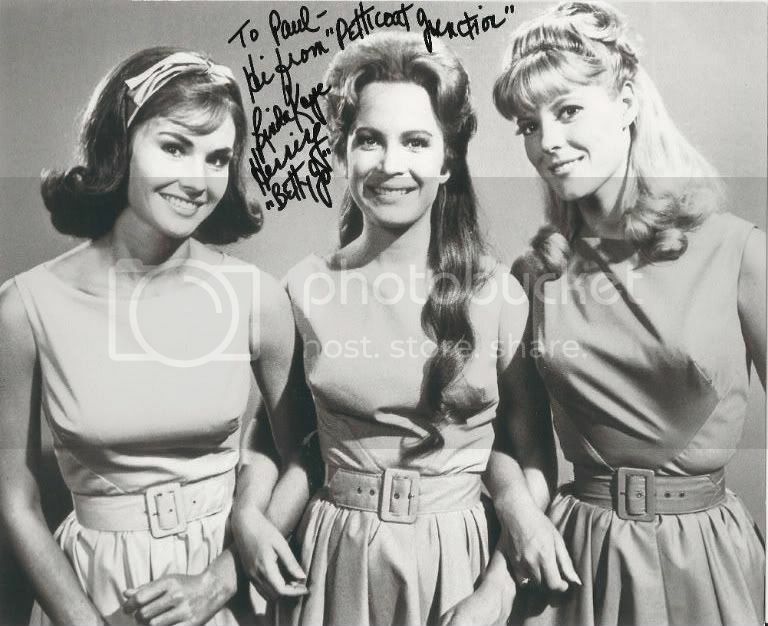 Don't forget the big-haired girls of *Petticoat Junction* ! They could go swimming in the water tank and still have pouffy hair! Madame Cutter, you got that right about Billie Jo, Betty Jo and Bobbi Jo. Cinemafan...thanx for the pix. I liked the Connies. Wow...I haven't seen Billie, Bobbie and Betty Jo in a long long time. (I go back to remembering Jeanine Riley). 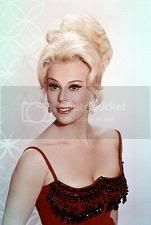 I even remember GUNILLA HUTTON! Clarification of Billie Joe phenomenon..
Yeah, SueSue - a lot more Sophia! Sue2...so YOU are a Petticoat genealogist?? Great. 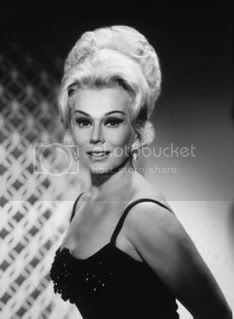 Last night, when I dreamt I went to Manderley (again) I saw Bea Benadaret too. But she didn't have too pouffy a pouffed up bouffant. OW!!! MY EYES! MY EYES!!! Finally, a picture of our troll. You can PM the name to me. Now...whose the one on the right?